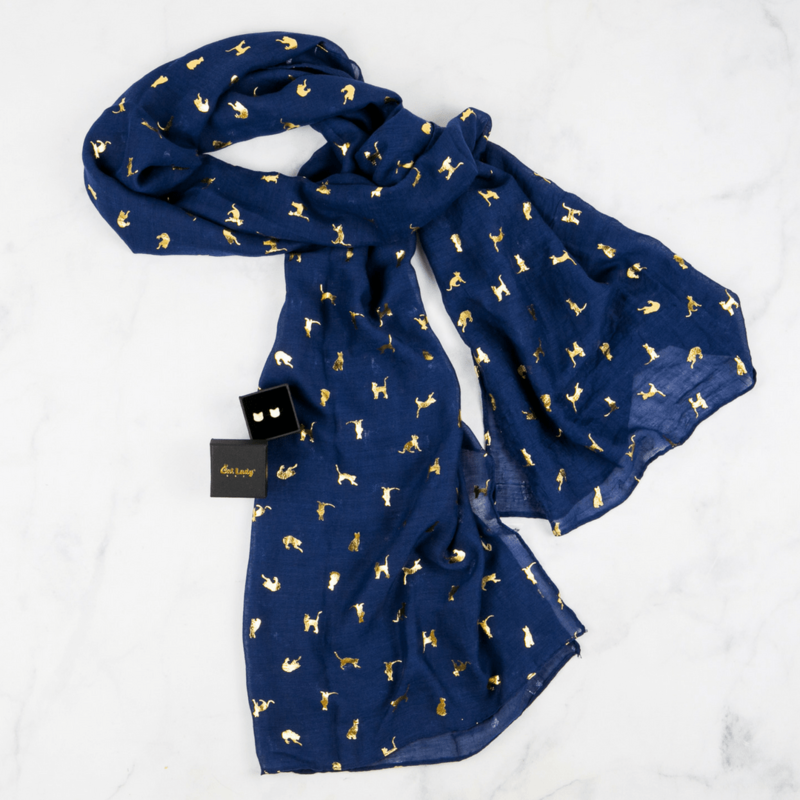 Add a little glitz to your everyday wear with your new Shiny Cats Scarf! 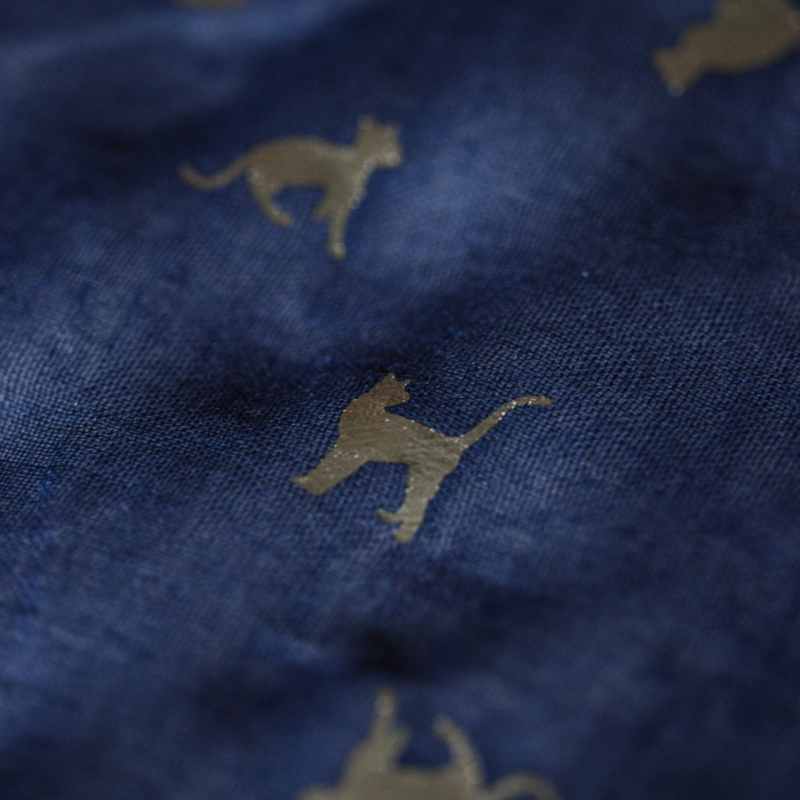 Deep navy blue with contrasting, sparkly gold or silver cats (your choice)! Sheer, lightweight scarf to get you started for the Fall season! Just a touch of shine to add some fun to a casual cat lady outfit! Earrings not included. Made exclusively for CatLadyBox and originally featured in our “Glitz and Glampurr”-themed box.